Observations and/or complaints can be submitted by ordinary post, fax or email. Anonymous messages will not be accepted to avoid speculative disturbance of competition..
Before being dealt with, all observations and complaints will be checked for accuracy of data. All personal details will be treated confidentially; anonymity, where requested, will be respected. 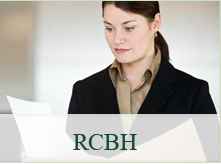 In the case of complaints or observations which carry implications of illegal behaviour by RCBH staff or violations of the organisational model of RCBH's code of ethics and behaviour, RCBH's surveillance body will be informed. 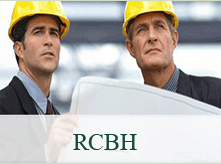 RCBH shall duly provide an initial response within 30 working days. An observation is different from a complaint because it does not necessarily imply dissatisfaction with services or products purchased, but it signals behaviour noncompliant with the technical reference standard (ISO 9001, ISO 14001, ISO 45011, etc.). A complaint expresses dissatisfaction on the part of any type of user (consumer, accredited body, government authority etc) regarding the outcome of a service offered or the purchase of a product from an organisation certified under accreditation. Before sending a complaint or an observation it is necessary to be sure that the behaviour in question (by RCBH, by laboratories or accredited bodies) is effectively referable to testing, inspection or certification activities (of system or product or personnel etc) coming under accreditation. Before sending a message you are invited to look at our databank and the "Accreditation" page. 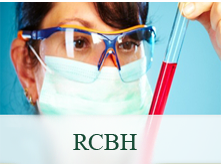 RCBH shall act upon messages received which regard its functions or those of bodies either operating under its accreditation or covered by international agreements. .